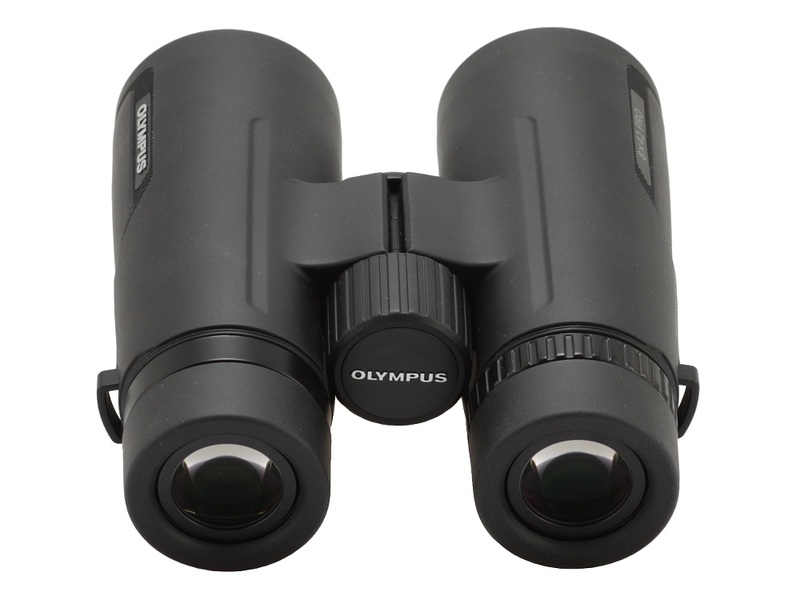 Olympus 8x42 PRO - binoculars specification - AllBinos.com . Cons: Almost none. Not quite as smooth focus as Swarovski EL. Lighter materials giving a slightly \"cheaper\" feel. Pros: Optically very, very good. 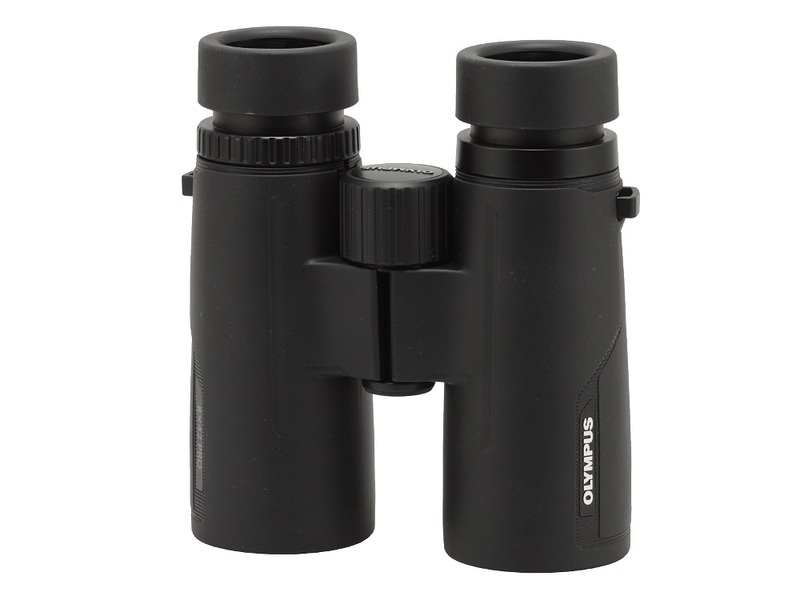 Both myself, my wife and my daughter (age 22, near perfect vision) could see no difference between between 8x42 Leica Ultravid (owned by my wife) and Swarovski EL 8.5x42 with respect to sharpness and field of view. Field of view good, sharpness very good, colour balance very good (Lieca slightly warm). Comfortable to hold and use. Good eye relief. Lighter weight than many in same class. Reasonable resistance to flare, no worse than others tested side-by-side. 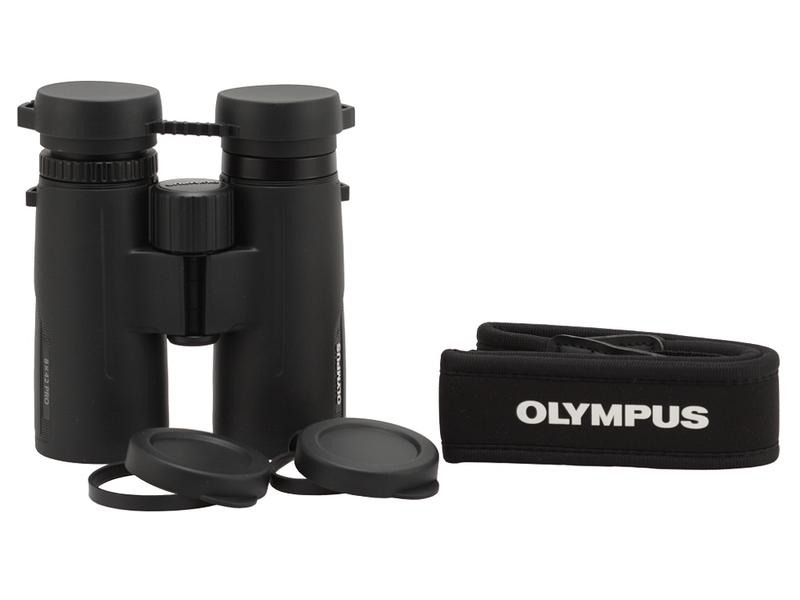 Summary: These perform on a par with binos 3x more expensive. Extreme value for money.